All La Mesa homes currently listed for sale in La Mesa as of 04/21/2019 are shown below. You can change the search criteria at any time by pressing the 'Change Search' button below. "$1,395,000-$1,595,000.This Immaculate Single Story Estate Unites Nature & Architecture While Offering Impressive Pano City Views. Grand Entry Leads to a Light/Bright Open Floorpan That Radiates Elegance & Comfort Perfect For Entertaining. A Timeless Design w/a Contemporary Appeal Including Decorative Fireplace w/Raised Hearth, Rich Flooring & Impressive High-End Chef's Kitchen. Yard Offers Ultimate Relaxation Showcasing a Pool w/Baja Step, Custom Fire Pit & Garden. One-Of-A-Kind 6 Car Dream Garage! 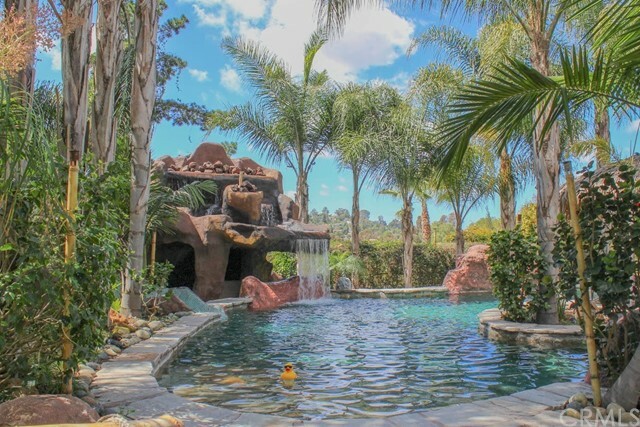 Neighborhoods: MOUNT HELIX Equipment: Fire Sprinklers,Garage Door Opener,Pool/Spa/Equipment Other Fees: 0 Sewer: Septic Installed Topography: LL,GSL,SSLP"
"Charming 2 story home in the Mt. Helix area on a cul de sac with 5 other homes. This home has a pool, parking for a RV, a charming eat in kitchen with a fireplace. Fireplace in the living room as well. There is also a lovely sunroom off the entry patio with a wet bar. Multiple patios as well as the pool to relax and enjoy the sun. The lower level has two bedrooms with a kitchenette and a separate entrance. There is central A/C and also plenty of storage! There is a brick BBQ. Large tiered lot. Neighborhoods: Grossmont Park Equipment: Pool/Spa/Equipment Other Fees: 0 Sewer: Septic Installed"